What is the difference between the New York Explorer Pass and the New York Pass? 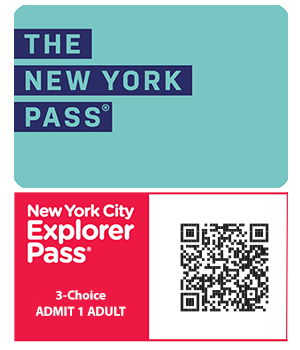 The New York Pass and New York Explorer Pass are both New York discount passes. The main difference is, you buy the New York Pass for a number of consecutive days (1, 2, 3, 4, 5, 7 or 10). Within this set time, you can use it to visit as many sights as you want. On the other hand, you buy the New York Explorer Pass for a set number of attractions, (choose either 2, 3, 4, 5, 7 or 10). You then decide, once in New York, exactly what you want to see and do with the pass. You have 30 days to use it, so you can spread your sightseeing over your whole stay. In addition, with both passes, there are no extra costs involved at the attractions. What can you do with these New York discount passes? 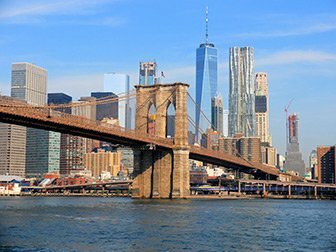 With both the New York Pass and the New York Explorer Pass, you can visit almost all of New York’s most famous attractions. Both passes give you the option to visit the Empire State Building, Top of the Rock and the Statue of Liberty. You can also choose various sightseeing cruises or even a bike ride through Central Park. 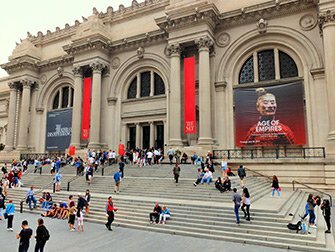 All of New York’s famous museums are also included on both passes. 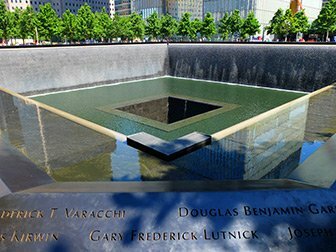 For example, visit the 9/11 Museum, the Metropolitan Museum of Art, the Guggenheim or the American Museum of Natural History. It’s always worth making a list of places that you want to visit. Then you can see which pass offers you the best value. In general, for a stay of up to five days, I recommend the New York Explorer Pass because, in practice, it’s the most cost-effective option. This way, you can visit the attractions for much less than if you were to buy tickets separately. Are you going for five days or longer? Then the New York Pass is more favourable. You will have enough time to see and do as many things as you can, to get the most out of your pass. With the New York Pass you can visit over 100 attractions, tours and activities, including some of the lesser known sights. 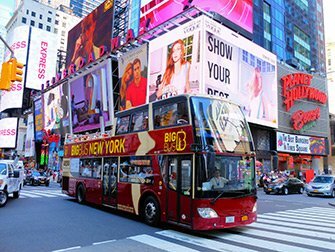 A big advantage of both New York discount passes is that you can make use of the Hop on Hop off buses. With the New York Pass you can collect a 24 hour Big Bus ticket, with which you are able to take the Uptown and Downtown routes. It’s the perfect way to get to know the city in the first days of your trip. With the Explorer Pass, the Hop on Hop off bus counts as one of your attractions. With this, you get the same Big Bus ticket as the New York Pass.It is also possible, with the Explorer Pass to choose the Evening Bus tour as a separate attraction. On all buses, there is a guide available who tells you all about the attractions as you pass them by. DEAL: If you’re travelling between March 1st and June 1st with both passes you receive a 2-day Big Bus ticket as one of your attraction choices, including the Brooklyn and Harlem Loops. The New York Pass and the Explorer Pass differ greatly. Here, I have listed the main differences between these New York discount passes for you. Eric’s Tip: The New York Pass is a good choice if you are planning to do and see a lot. However, I prefer the New York Explorer Pass. It includes all the most important sights, and gives maximal flexibility, for a relatively low price. After you order, you receive a QR-code directly per email. You can show this on your phone or print it. With the New York Pass you choose, in advance, whether you want a physical or mobile pass. If you have decided on the mobile pass, it is not possible to print it.